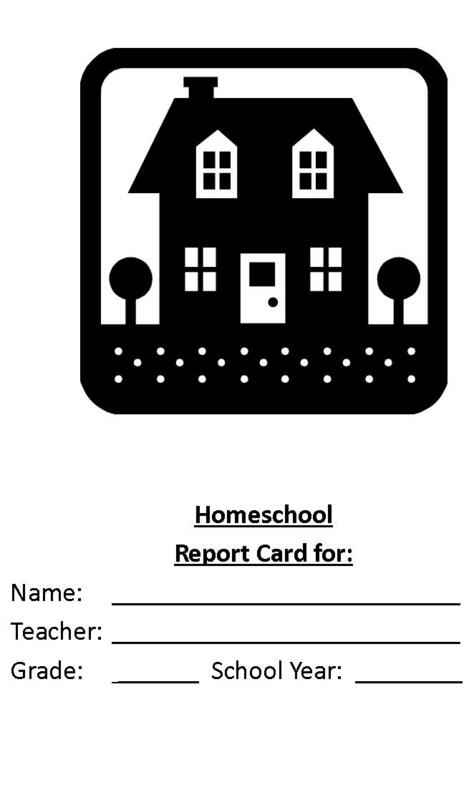 You can easily create a homeschool report card using basic computer software and the grades from your child's homeschool courses. Why would you want to add the task of creating a personalized homeschool report card for each of your children to an already busy and sometimes hectic schedule? Does your state require that you complete one as part of your student record keeping? Or, how about the umbrella school you registered with? Well, for whatever the reason, I can share a few tips about how to develop such a document. Basically, you will want to include information that evaluates each child academically, spiritually or morally, and add some comment about their performance or attempts during the recording period. You will want to include the core subjects of English, math, history, science, and Bible, if applicable. You can include such sub-topics as handwriting, reading, and phonics under the English heading or list them separately. Include standardized test scores on the form if you have had your child tested or administered a standardized test at home. Letter grades are more commonly used, especially in the higher grades. Sometimes, (S)- Satisfactory, (U)-Unsatisfactory, (N)-Needs Improvement grades will also be used. You can include anything that you want to emphasis concerning your child/ren. One suggestion I would make is that your child should never find out about any dissatisfaction you have with his/her work performance or ethics on the report card. Any negative issues should have already been discussed with the child and perhaps your spouse, as well. One of the many benefits of homeschooling is that we are able to address potential problems quickly and diligently work to resolve them. I encourage you to address any school work or behavior challenges early on so that the report card can reflect a much improved performance rather than failures. Also, be tactful and not abrasive when commenting. Words are very powerful, especially those that come from an authority like a parent who is also the teacher. Always strive to motivate and encourage your child and never be destructive or critical with your words. Look here for a sample report card template. I hope this helps to give you ideas about what you can do to create one of your own.